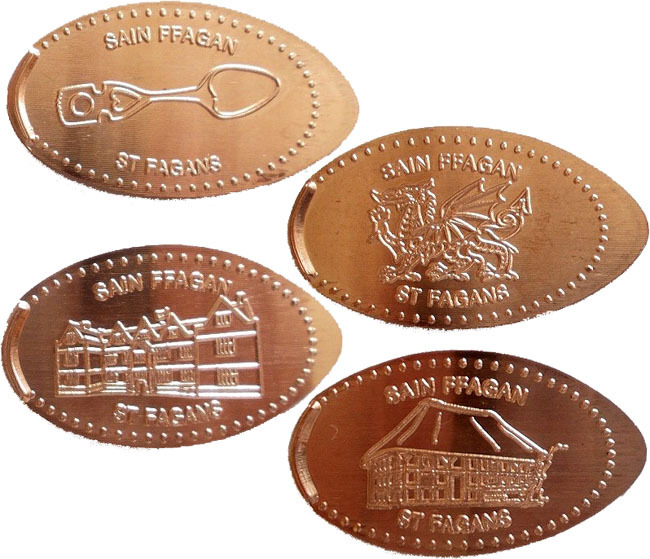 Souvenir Pennies have replaced all the machines in the South Wales museum group. Others in Cardiff and Big Pit. This is the latest machine. 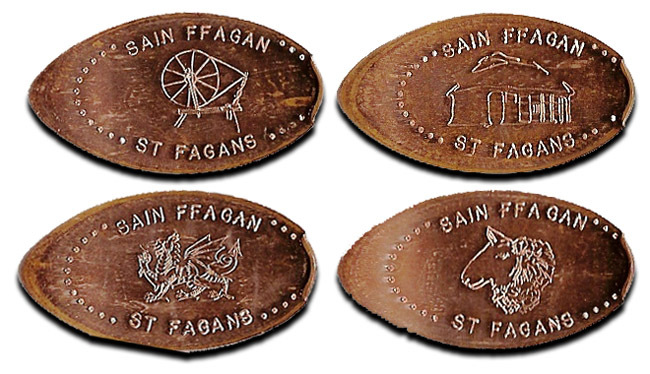 New designs, each penny a dotted border and Sain FFagan/St Fagans in text. The retired designs were: 1) Dragon, 2) Spindle, 3) Sheep, 4) Cottage. 21st September. 2017 new machine installed.